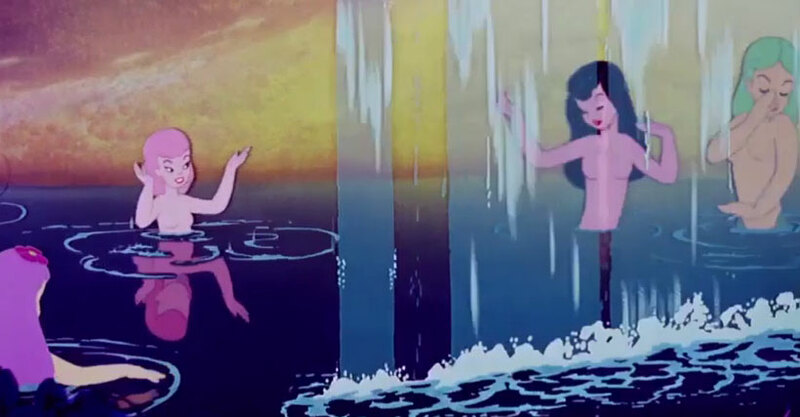 Illuminati researcher Fritz Springmeier deconstructs the Disney animated film Fantasia and describes how it is used by the Illuminati to program Monarch mind-controlled slaves. 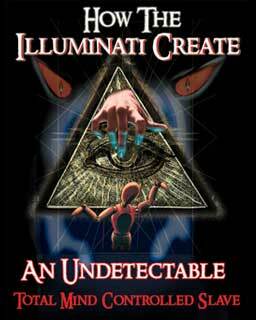 IlluminatiMovie analysis based on deconstruction by Fritz Springmeier in his book in his books How the Illuminati Create An Undetectable Total Mind Controlled Slave and Deeper Insight Into the Illuminati Formula. 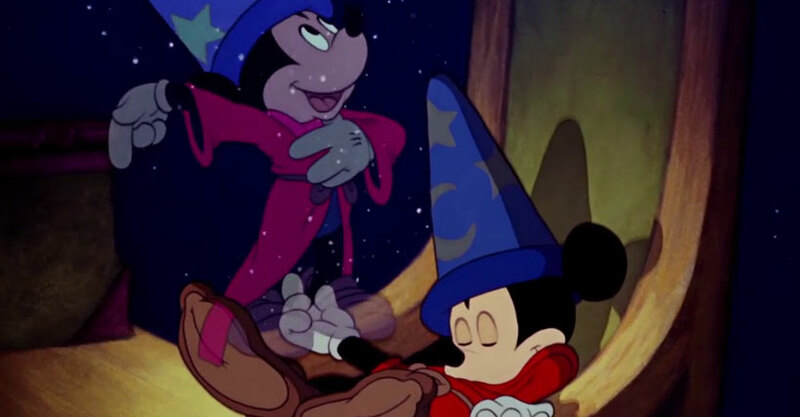 Fantasia was released by Disney in 1940. 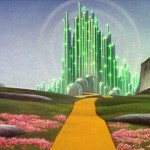 Initially the film did not make any money for Disney due to the war heating up in Europe, cutting off an important market. 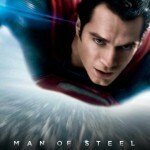 It eventually managed to bring in more than $80 million at the box office. 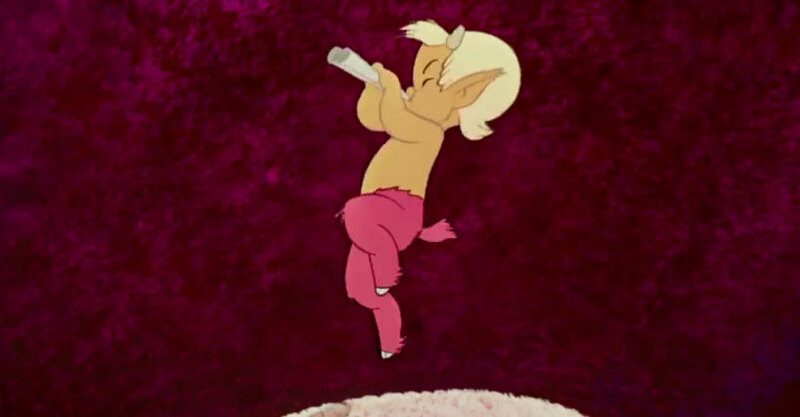 According to Illuminati researcher Fritz Springmeier, this was of little importance to Walt Disney. 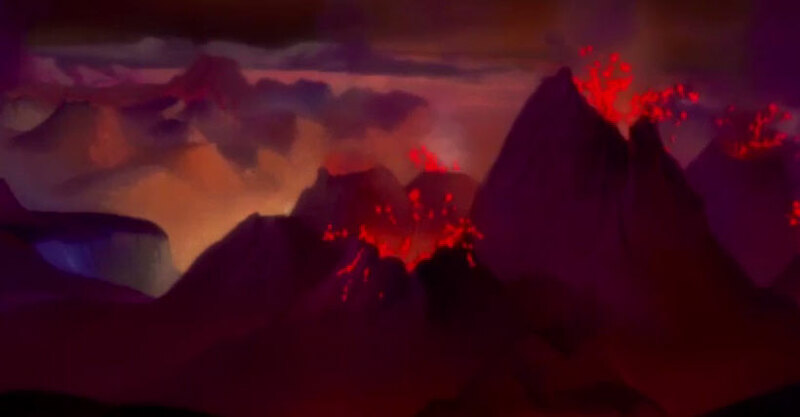 The Disney family is closely related to the 13 Bloodlines of the Illuminati. (note: Fritz’s work on the bloodlines is not widely accepted amongst researchers. See insightful critiques of his work here and here.) 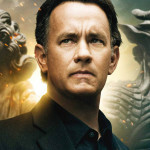 The film was not meant to make a profit, but rather, to serve as an occult tool for programming of Monarch mind controlled slaves. 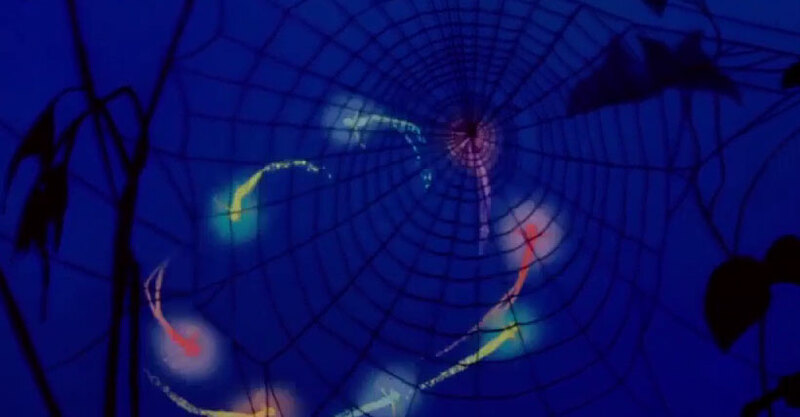 Disney gathered input from Illuminati programmers and applied the best mind control techniques known at the time in the planning of Fantasia. 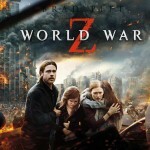 The film quickly proved to be an occult hit and eventually became used in 90% of trauma-based programming. 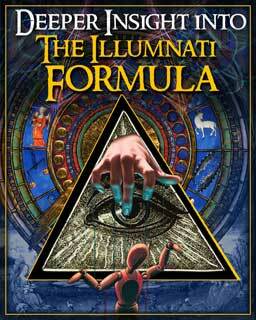 Springmeier wrote extensively on Illuminati methods of mind control in two heavy volumes, How the Illuminati Create An Undetectable Total Mind Controlled Slave and Deeper Insight Into the Illuminati Formula. Monarch Mind Control is a subprogram of the CIA’s documented MK-Ultra project. However, Monarch is substantially more advanced than what was ever publicly released on MK-Ultra. Springmeier bases his research on testimony of former Illuminati members who he has deprogrammed himself and allowed them to recover hidden memories, namely his co-author Cisco Wheeler. 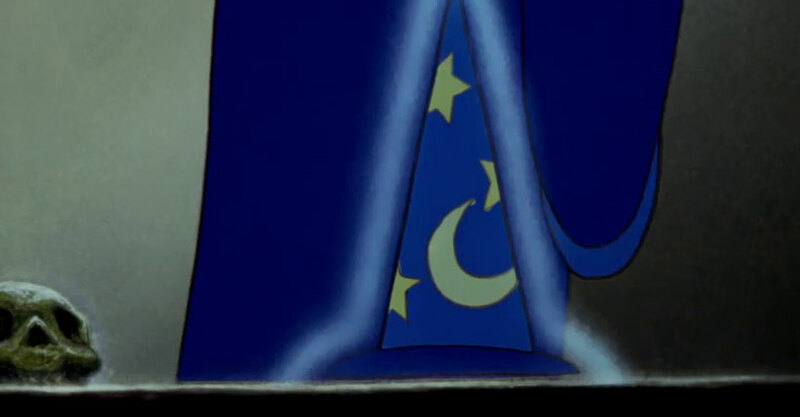 Deeper Insight Into the Illuminati Formula includes a detailed deconstruction of Fantasia. This is only a sample of Springmeier’s analysis with some explanatory comments added and screenshots taken from a 2010 release of Fantasia. The film opens with a shot of a step-pyramid. 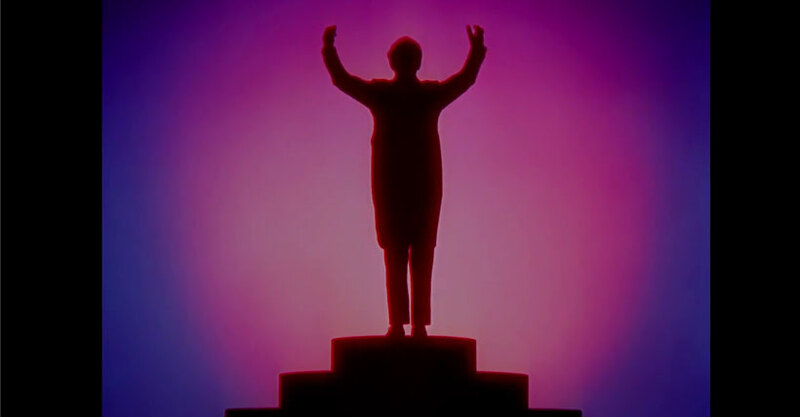 The conductor, whose role the programmer assumes, takes place on top of the pyramid. He “is shown to be the center of authority.” Soon a rising sun appears, another important Illuminati symbol. Springmeier relates that the sun is an allusion to the Illuminati’s sun worship and the sun rising in the east. The accompanying music which now rises and falls is used to induce a trance in children and other slaves. Cisco identified one of her programmers as Nazi war criminal, Josef Mengele who went by the name of Dr. Green, Greenbaum or other variations of the color green. Mengele, who escaped to South America following World War 2, was not part of Operation Paperclip and probably escaped via one of the many Nazi ratlines. Nevertheless, Mengele is a recurring character in recovered memories of Satanic or/and Illuminati abuse victims. Spin tortures are used to create different alters, or dissociative identities. 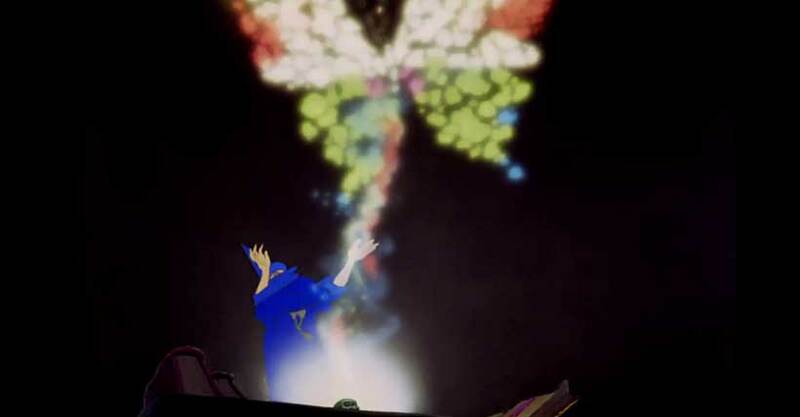 The programmer now assumes the role of a great wizard. 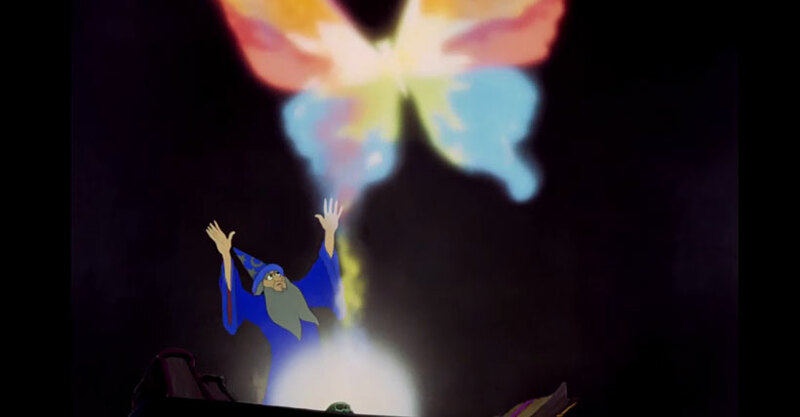 He magically creates a butterfly, a direct reference to project Monarch, from a skull, yet another illuminati symbol of importance. 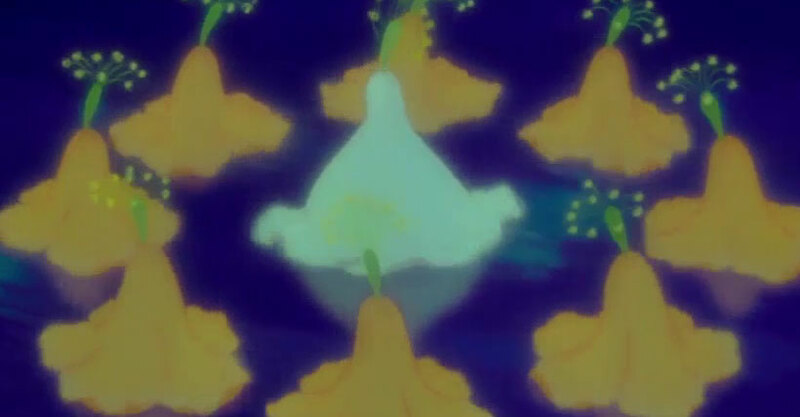 He then shatters the butterfly into multiple fragment before setting it all back into a skull. Is Disney directly referencing the multiple personalities created in the course of programming a Monarch mind-controlled victim? Springmeier thinks so. 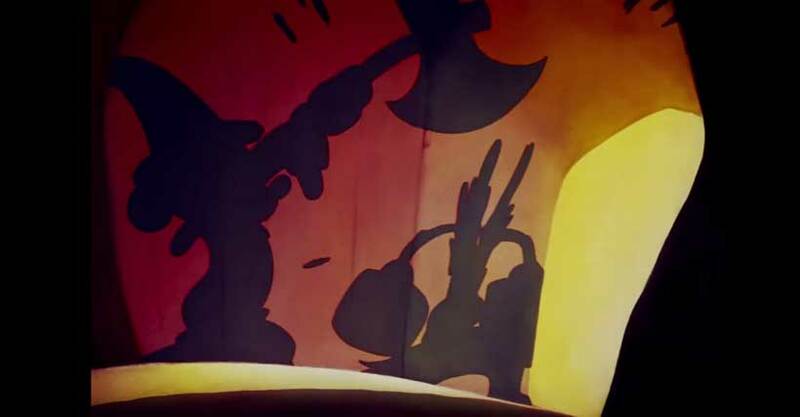 The skull on the left is a occult Illuminati symbol. The hat doesn’t represent anything. 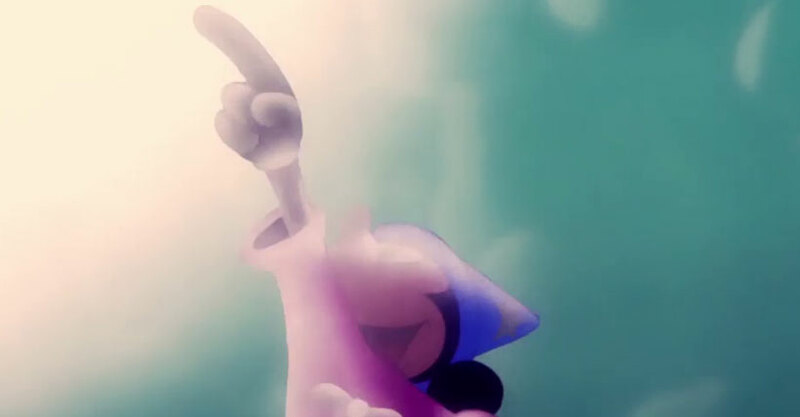 Mickey Mouse floating into a dream, or as Springmeier sees it, having an anti-Christian out-of-body experience. 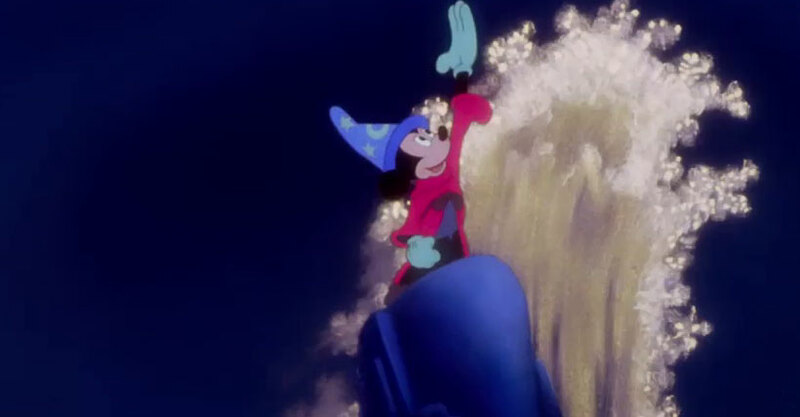 Mickey Mouse is able to control lightening. Electro-shocks are applied to the victim at this point to create split personalities. 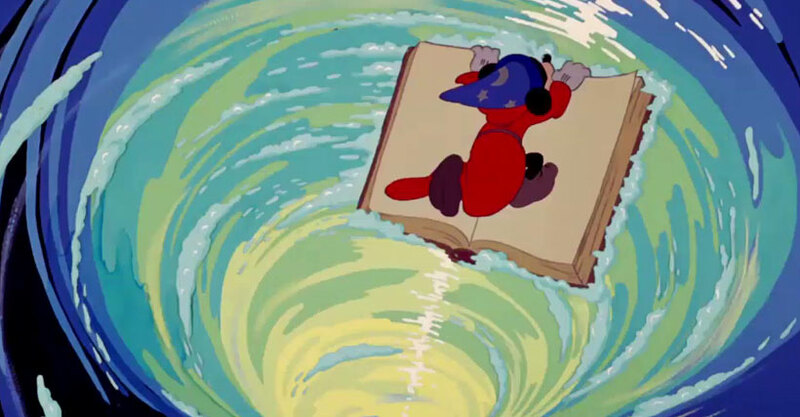 Mickey Mouse’s command of the elements, in this case water in the form of waves, is a form of Enochian Magic. Mickey awakens traumatized by the water surrounding him. Water tortures are used on mind-controlled victims to keep them from ever talking about their experiences. 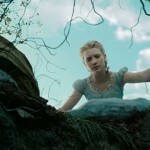 When the child (Mickey) re-enters his own body, s/he will be frightened into not talking or telling. 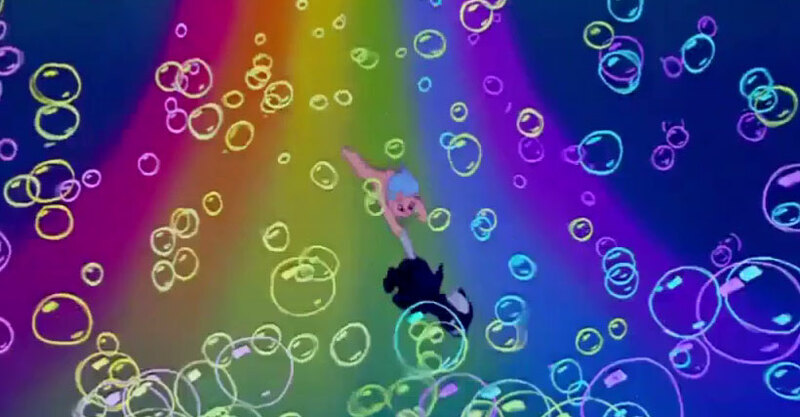 Mickey falls into a “vortex of dissociation”. The victim is programmed to think that is s/he ever looks back at its programming, s/he will fall into a vortex. 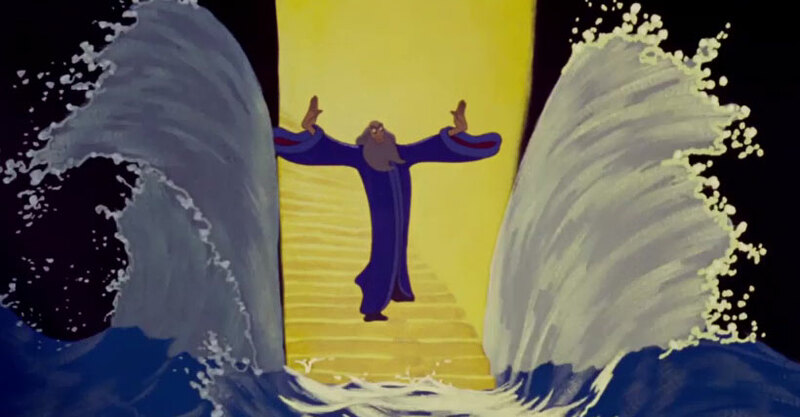 The programmer as Moses parting the Red Sea. The creation of Earth gives the child instructions on building their own internal world. 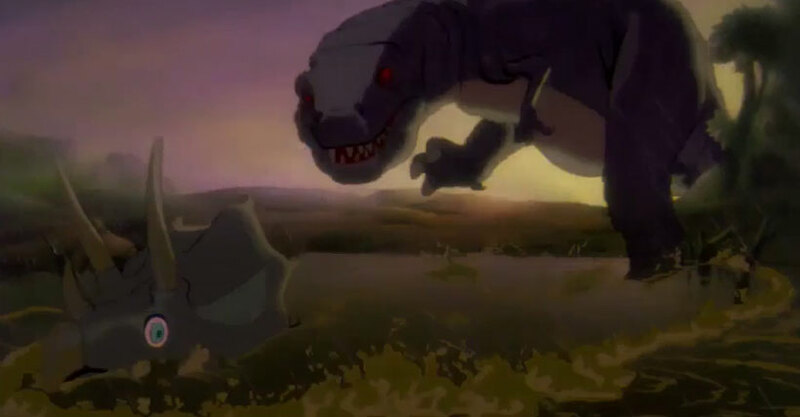 Disney hints at Darwin’s theory of Evolution. Springmeier believes Evolution gives victims or people a way to not take moral responsibility for their actions toward the Illuminati’s goals. Waterfalls are used by Monarch programmers to erase memories. THe slave forgets everything that has been done to them. They even forget having watch Fantasia multiple times while being submitted to torture and mind-control programming. 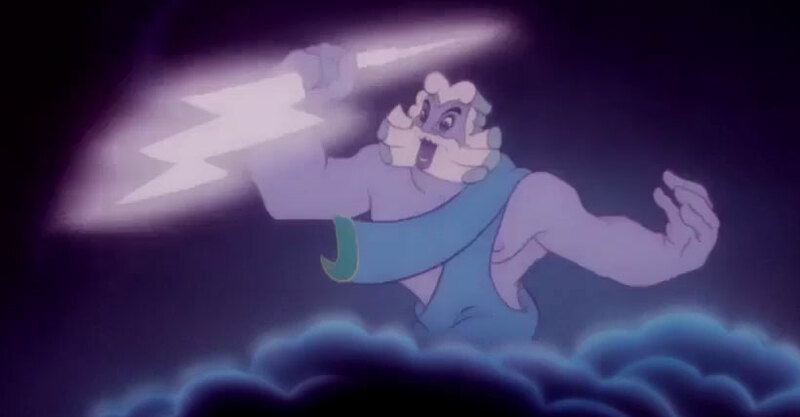 Zeus, holding the lightning bolt, represents the demon Furfur. Victims must learn to fear their internal demonic guardians. 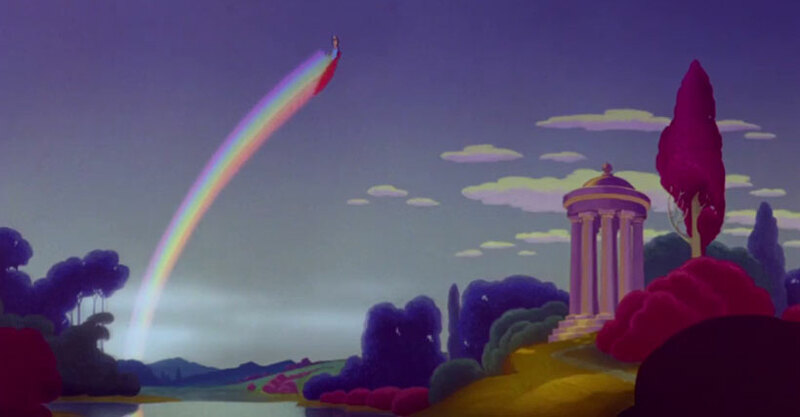 The rainbow appears in the sky. This is the programming rainbow goddess. 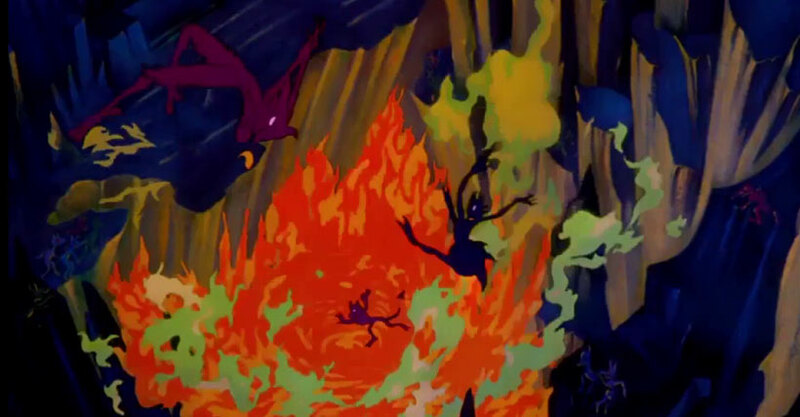 The Satanic creature represents one of the thirteen demons of the Malebranche. 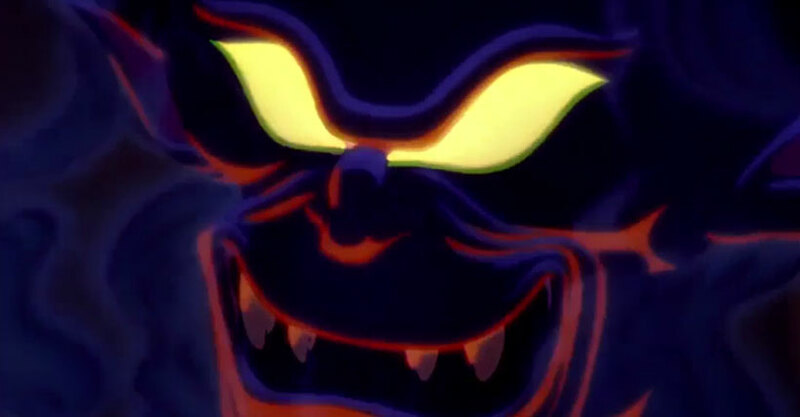 Armageddon programming as demons are seen burning in the pit of hell, causing Satan to smile. 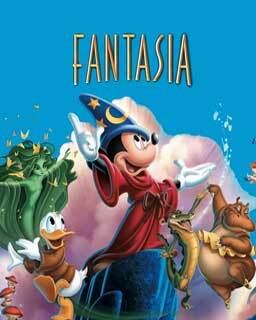 Finding a copy of Fantasia can be a bit tricky at times due to Disney’s scam of creating artificial scarcity for its films. (aka “the Disney Vault) Some copies are currently available on Amazon and appear to be available on-demand as well.